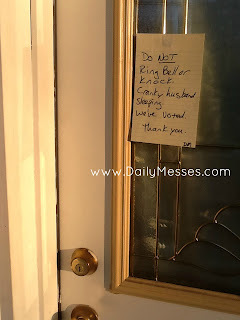 Hubby had to work late last night and didn't get home until about 7:00 this morning. We had a lot of last minute phone calls and door knockers. 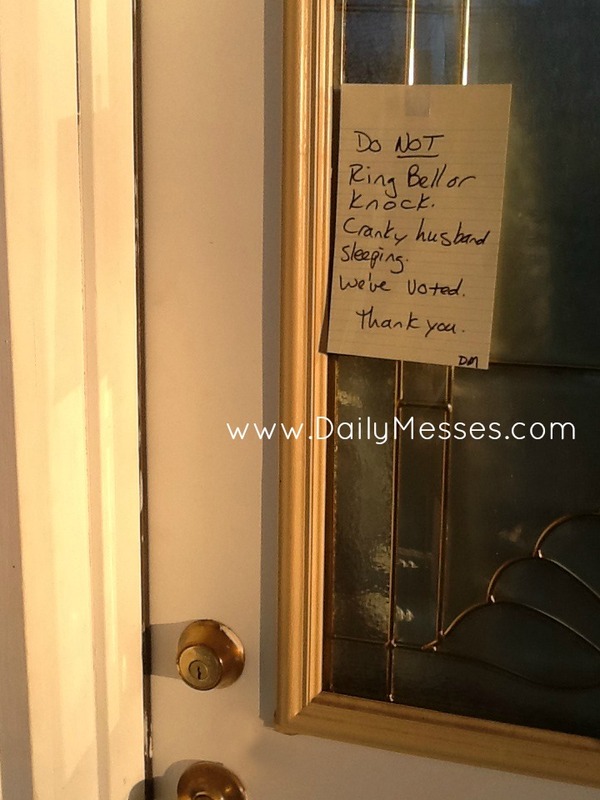 When I left to drop off Bernardo at school this morning, I added a sign to the front door.